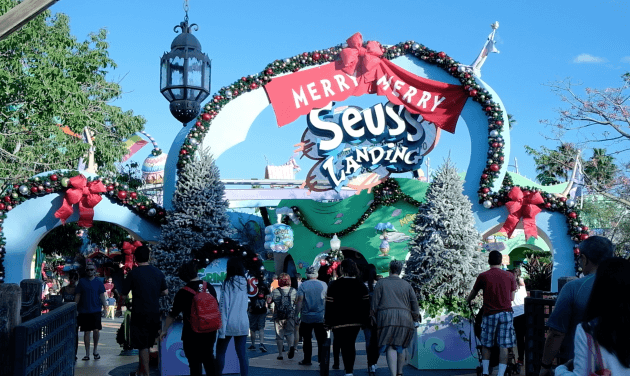 The change of the season is happening at Seuss Landing in Universal Orlando’s Islands of Adventure theme park. 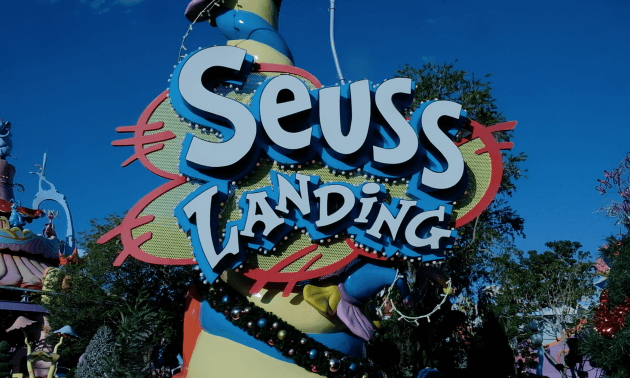 The popular land is a staple of Islands of Adventure, featuring several Seuss-themed attractions and everyone’s favorite Green Eggs and Ham Cafe. And now with the coming of the holidays, the land is a winter wonderland. 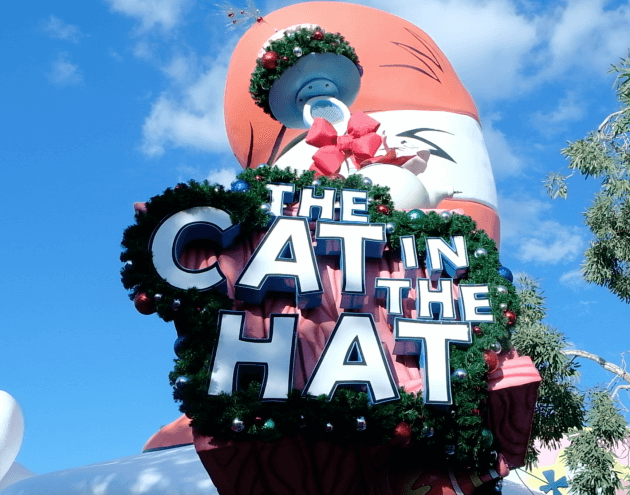 The Dr. Seuss themed area is jam packed full of different Christmas decorations, including Christmas trees, garland decorated with balls, wreaths, lights and many other holiday themed ornaments. 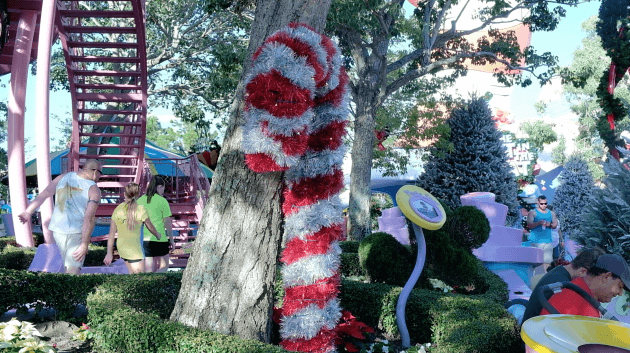 Everywhere you look in the landing features some sort of Christmas decoration. 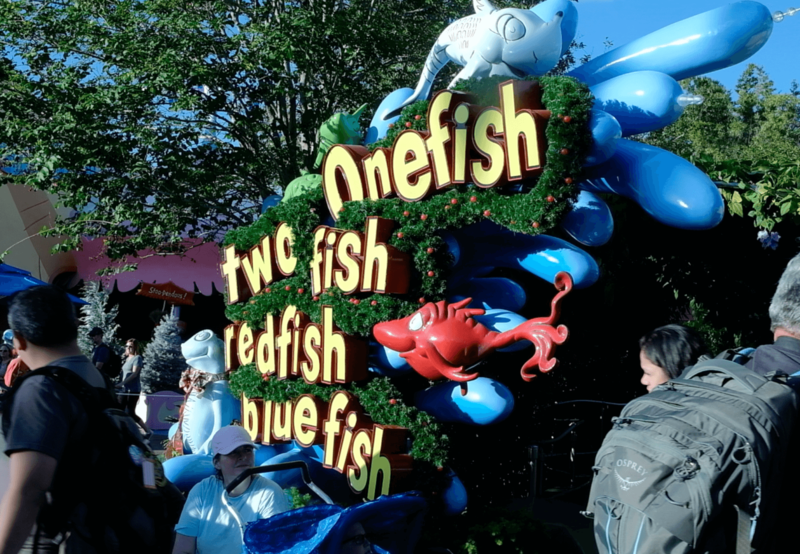 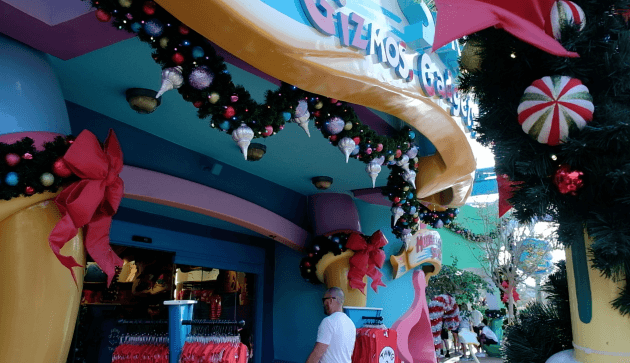 There are decorations on food kiosks, gardens, store windows and entrances and on the entrances to each attraction. 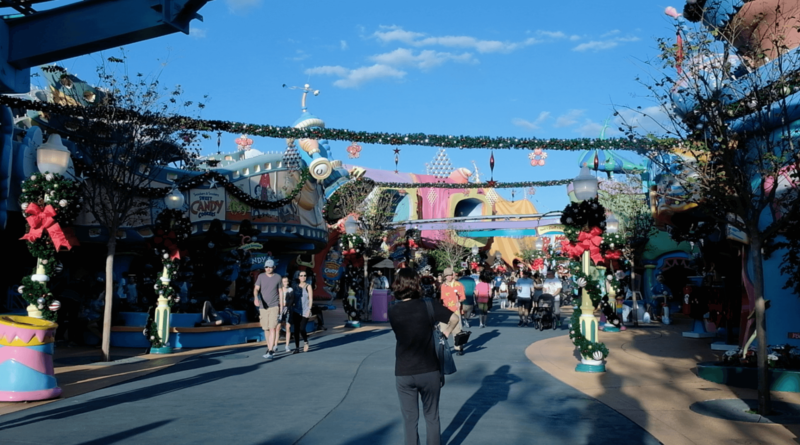 The massive amount of decorations in this land will certainly put you in the holiday spirit! 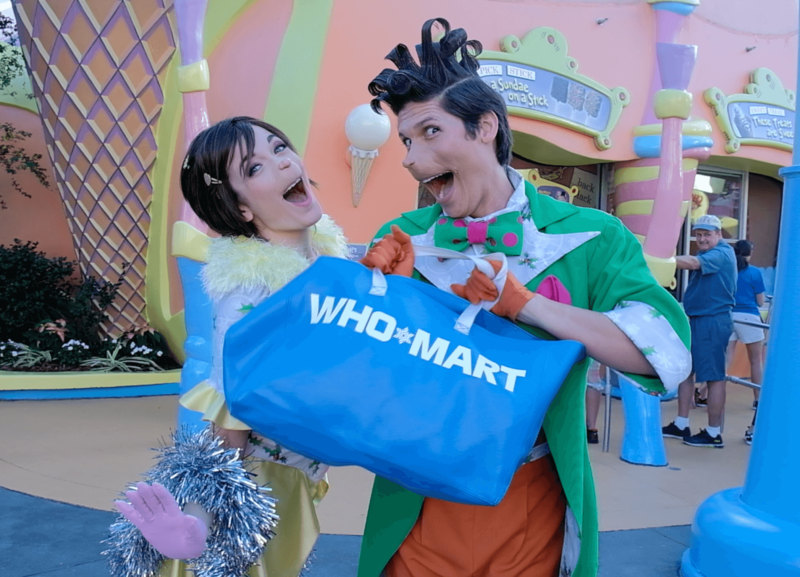 Walking around the land are citizens of whoville, all of which eager to spread Christmas cheer and to pose for pictures. 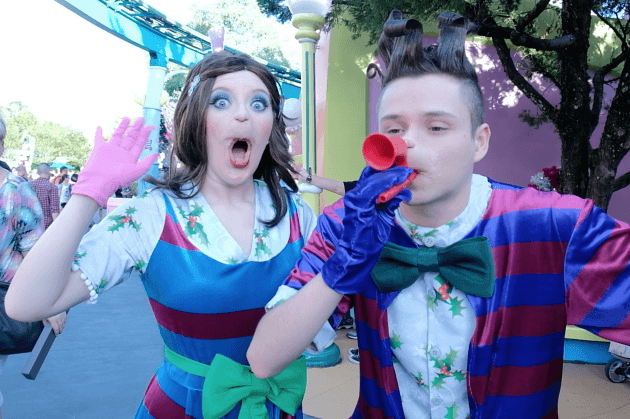 The goofy characters can be found interacting with guests, and cracking jokes on one another. 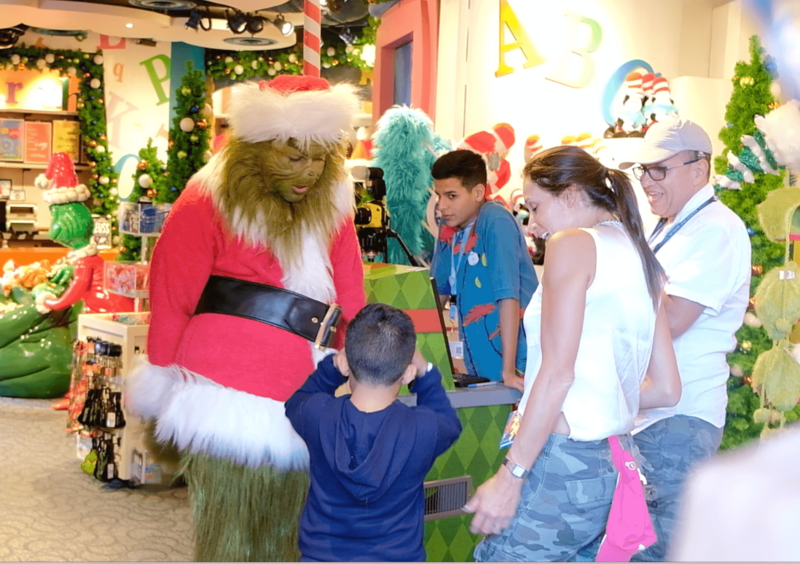 One special holiday treat all guests to the land must experience is a meet & greet with The Grinch. This beloved and feared character from the popular Dr. Seuss books is a hoot as he not only cracks jokes at all of his visitor’s expense but he also will find a way to put a smile on your face. You even get to pose for a picture with him, which is a hilarious experience as The Grinch takes the lead in helping guests pose in wacky and outlandish ways. 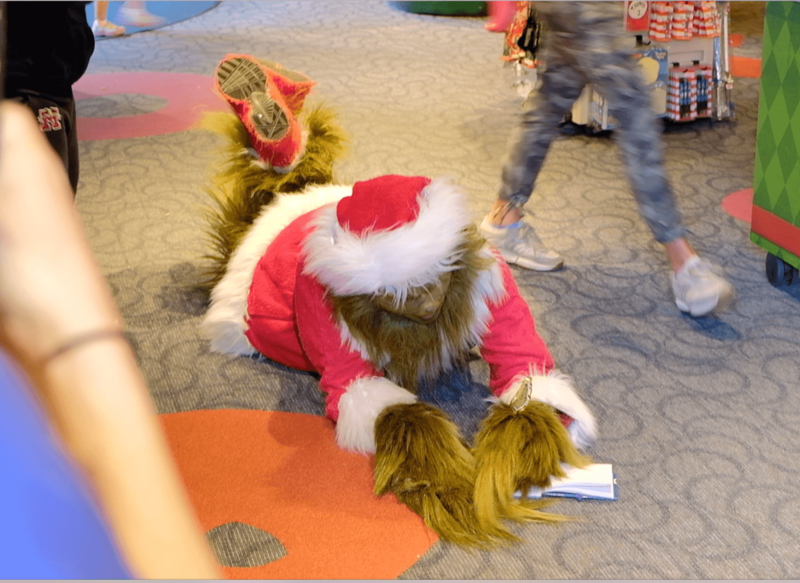 Take a look at a meet & greet experience with The Grinch featured below. 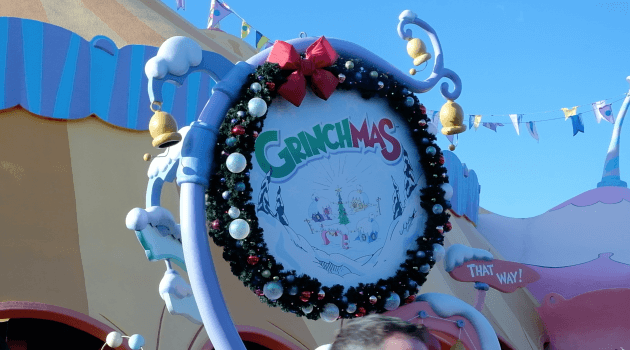 In the video you can see The Grinch picking on guests and the cameraman who shot the clip. 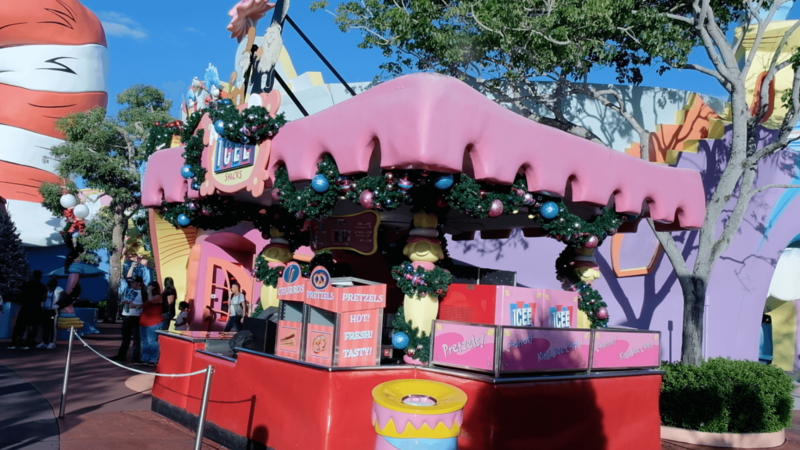 Head over to Seuss Landing today at Universal Orlando’s Islands of Adventure to take in all of this winter wonder and to get a few laughs from The Grinch.